At GolfWarehouseUK we stock all the main manufacturers of golf drivers. Brands such as TaylorMade, Callaway, Cobra, Titleist, Wilson and more. We have a wide selection of golf drivers at great prices to suit all levels of golfer. From the very latest drivers with up to date technology to discount drivers for those looking for a bargain. At GolfWarehouseUK we stock a wide selection of golf fairway woods from all the big manufacturers. Brands such as TaylorMade, Callaway, Cobra, Titleist,Ping, Wilson and more. We have a wide selection of golf fairway woods at great prices to suit all levels of golfer. From the very latest gents fairway woods with up to date technology to discount fairway woods for those looking for a bargain. We have a huge selction of Golf Hybrids at GolfWarehouseUK from all the big manufacturers. Brands such as TaylorMade, Callaway, Cobra, Yonex, Titleist, Ping, Wilson and more. We have a wide selection of golf hybrids and rescue clubs at great prices to suit all levels of golfer. From the very latest gents hybrids with up to date technology to discount golf hybrids and rescue clubs for those looking for a bargain. We stock an extensive range of Golf Wedges at GolfWarehouseUK from all the big brands such as TaylorMade, Callaway, Cobra, Titleist, Wilson and more. We have a wide selection of golf wedges at great prices to suit all levels of golfer. From the very latest gents wedges with up to date technology to discount golf wedges for those looking for a bargain. 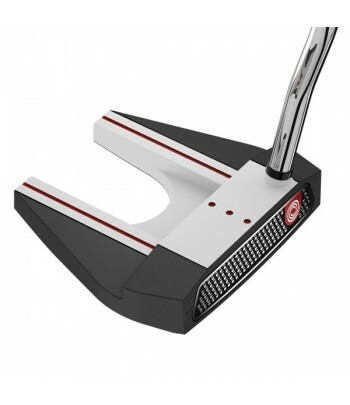 We stock an extensive range of Golf Putters at GolfWarehouseUK from all the big brands such as TaylorMade, Odyssey, Scotty Cameron,Seemore, Wilson and more. We have a wide selection of golf putters at great prices to suit all levels of golfer. From the very latest gents putters with the most up to date technology to discount golf putters for those looking for a bargain. Selection of current used ,ex demo,clearance golf clubs. Multi-Material for Solid Feel and Forgiveness. Centre shafted. Milled face for more putting consistency, in 5 classic shapes.